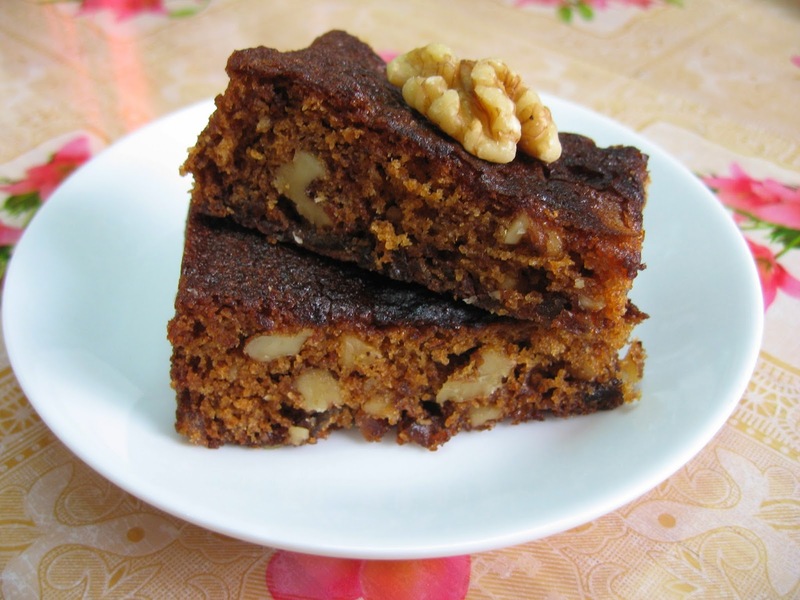 I was searching for Filipino recipes when I came across this cake. I find the name, " Food for the Gods" most unusual for a cake! Having said that, I remember having eaten this before. I searched my memory and it clicked back to a party many moons ago. The hostess was very proud to serve " Food for the Gods" which she had specially ordered for the occasion. She went round ensuring that her guests tasted this cake and she loved the look of surprise on her guests' faces as she mentioned the name of this cake! 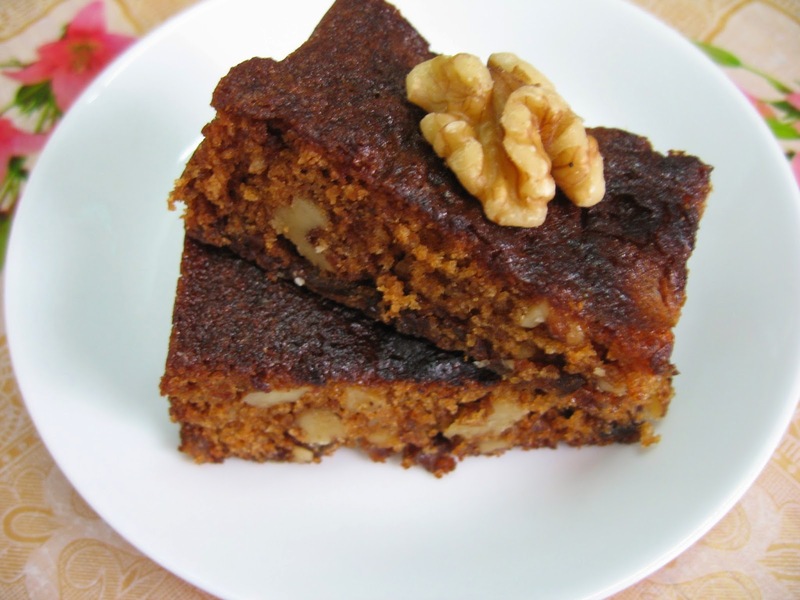 I love the walnuts and chopped dates which made this cake chewy. This is truly sweet and decadent! 1. Preheat oven to 180 degree C. I used a 9 inch square tin lined with parchment paper. 2. Sift flour, salt and baking powder into a small bowl. Transfer half of this mixture to another bowl and dredge the chopped dates in it. 3. Combined melted butter, brown sugar, sugar eggs and vanilla extract in a large bowl. Mix until batter is uniform. Add honey and mix again. 4. Fold flour into the batter. 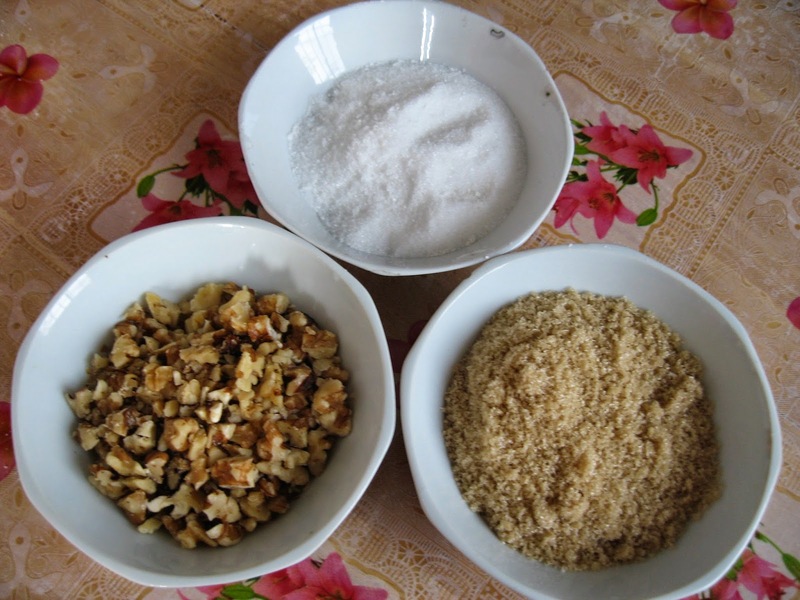 Lastly fold in chopped walnuts and the dates which have been dredged in flour. 5. Pour batter into the prepared tin and bake in oven for 25 minutes or until done. 6. Cool completely before slicing into bars. With a name like that, I'd bet it taste amazing! 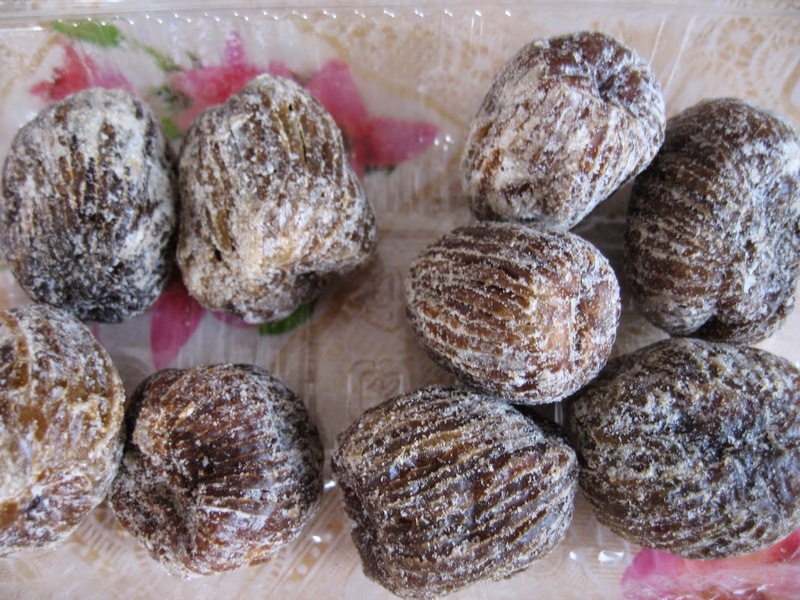 :) Love that it uses dried dates- sounds really good! You'll love it if you have a sweet tooth.